Well, with the AMEX DM waiver gone I decided to switch all of my travel to OneWorld last year. Most of my travel is international and 100% leisure, always finding fun places to MR as I don't have to work a regular work schedule. 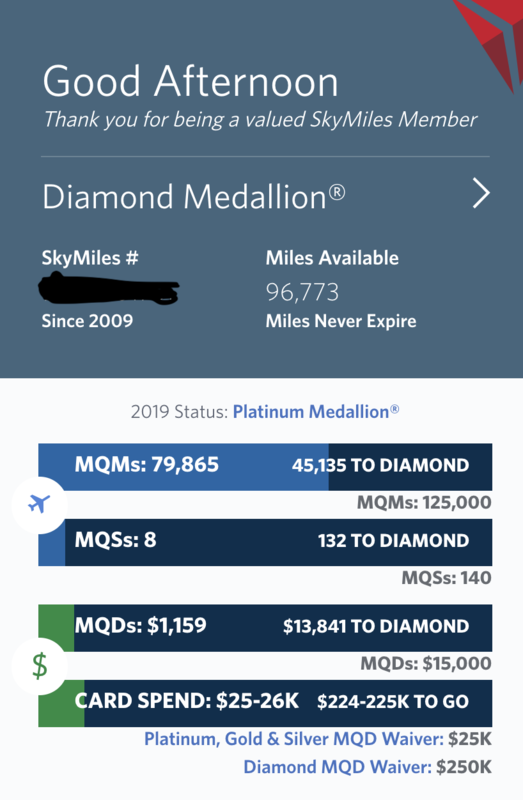 It's been a good run with DL but I am stuck at 800,000 Lifetime Miles, so I won't make MM any time soon. Although I credit all of my OW flying to AA I don't actually fly AA too often--its usually BA due to the amazing discounts with AARP & the BA Chase CC we get. Not sure what I will do if they take away the awesome partner earnings. indufan, longing4piedmont, CPMaverick and 7 others like this. Guess folks are a bit different over here in DL. Our thread in the AA forum has over 120 posts. Thanks for the awesome reply though! PurdueFlyer, bergamini, andrewk829 and 4 others like this. Not that anyone cares but I will set a new personal segments record this year: 181. Yuck. Air Houston and fsuj25 like this. longing4piedmont, bergamini, andrewk829 and 9 others like this. You got 60,000 more MQM than I did but spent $600 less (and flew one fewer segment). Dropped from Plat to Silver. Not much travel this year. Hats off to you, wow! I'm done flying for the year. Less segments but more long flights than last year. 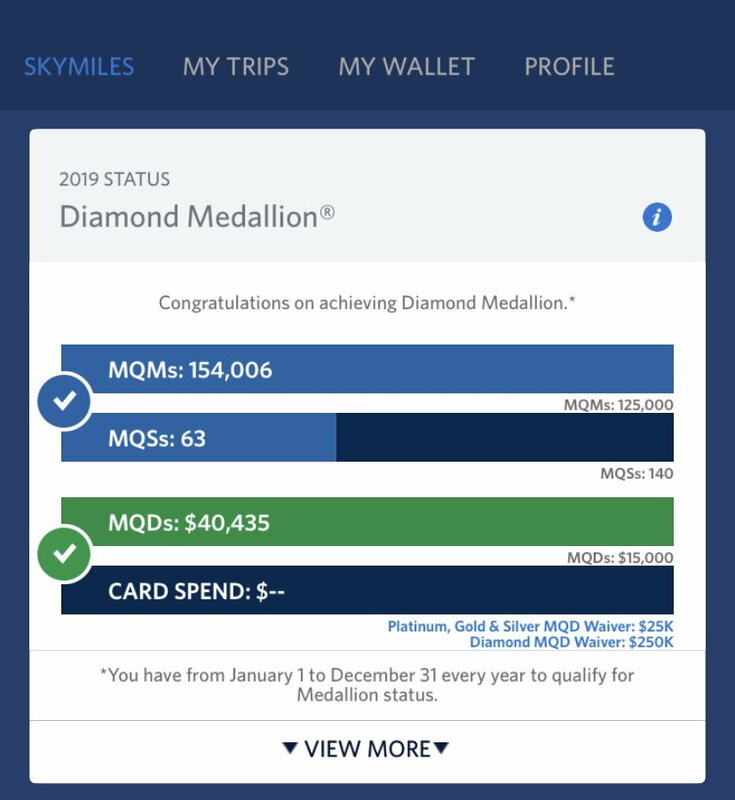 I had to buy F to hit the MQDs for DM on my very last flight (YVR-SEA-IAD). Cost me an extra $300 but was well worth it for the GUCs, as well as the fact that F appeared to be sold out on SEA-IAD several weeks before the flight. It was nice to have the larger seat on a redeye, actually managed 4 hours sleep. Looks like I’m going to miss FO yet again this year. Any ideas on how I can make it? I imagine FO is doable however KM is likely out of reach. I did the least amount flying this year than I've done in years. 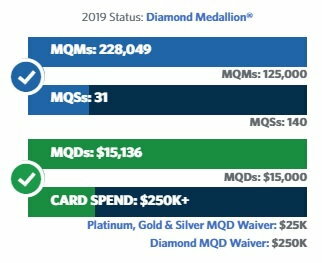 I'll end up at about 155K MQMs, $16K MQDs, and about 70 segments. I typically average 100 segments/year...mostly all direct flights. I envy those who can fly direct. Unfortunately, based out of HSV/BHM, it adds two micro-segments (under 30 minutes) for every trip. That “artificially” inflates my MQS considerably. I’ll finish with right at 100 MQS, but I really only have ~20-25 trips. It’s been a good year, Delta! Last trip of the year today, but it’s on AF on a V fare, so won’t pad my bottom line too much more.